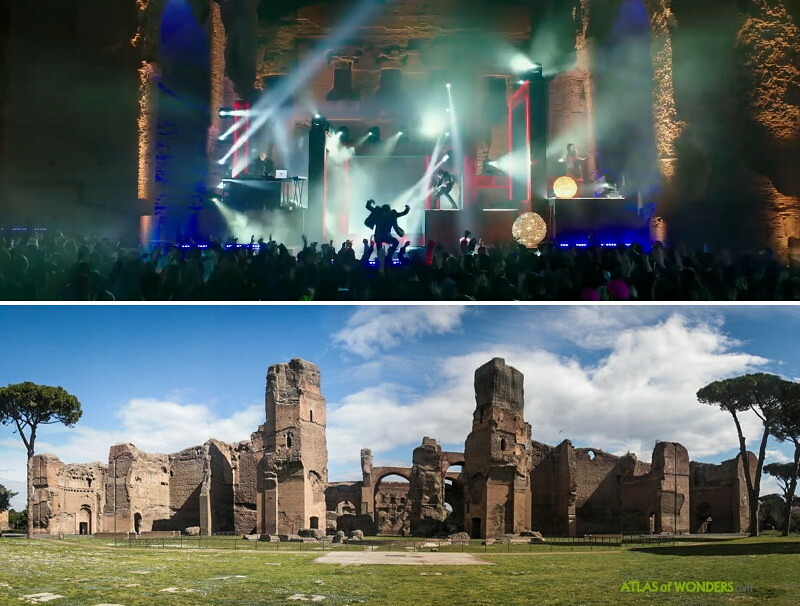 Where was John Wick Chapter 2 filmed? 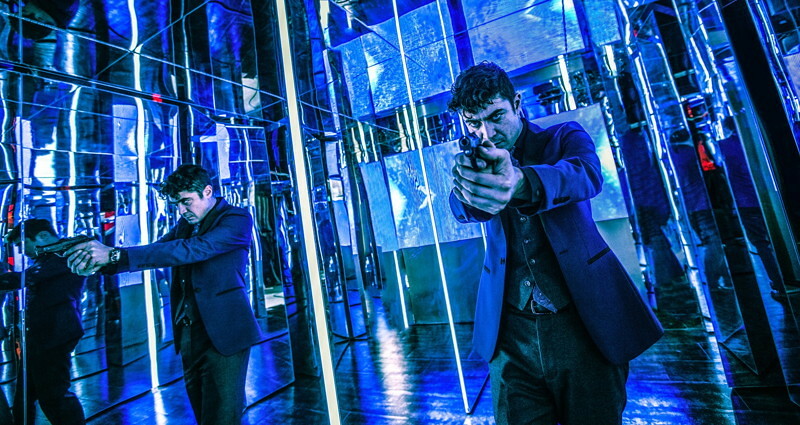 The first John Wick movie was an unexpected critical success, and is now on its way of becoming a franchise. 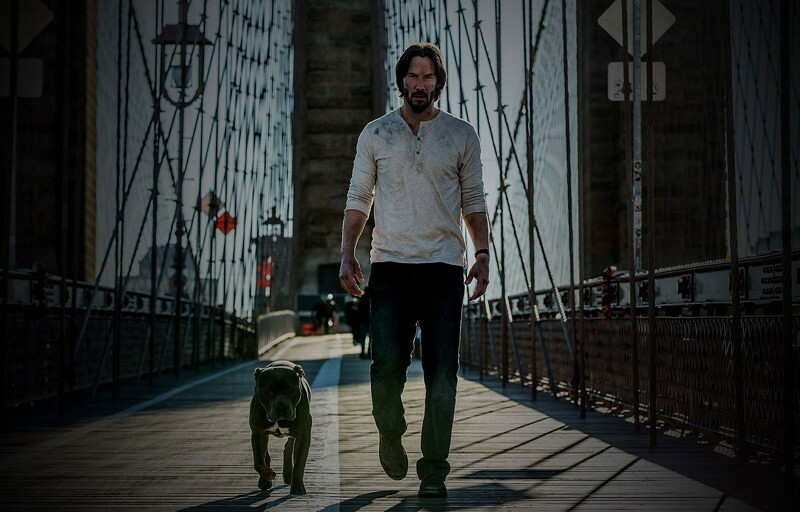 Keanu Reeves returns in the sequel, assuming the role of the legendary professional killer. This time he's forced back into action by his former partner, who plans to take control of an obscure international guild of assassins. 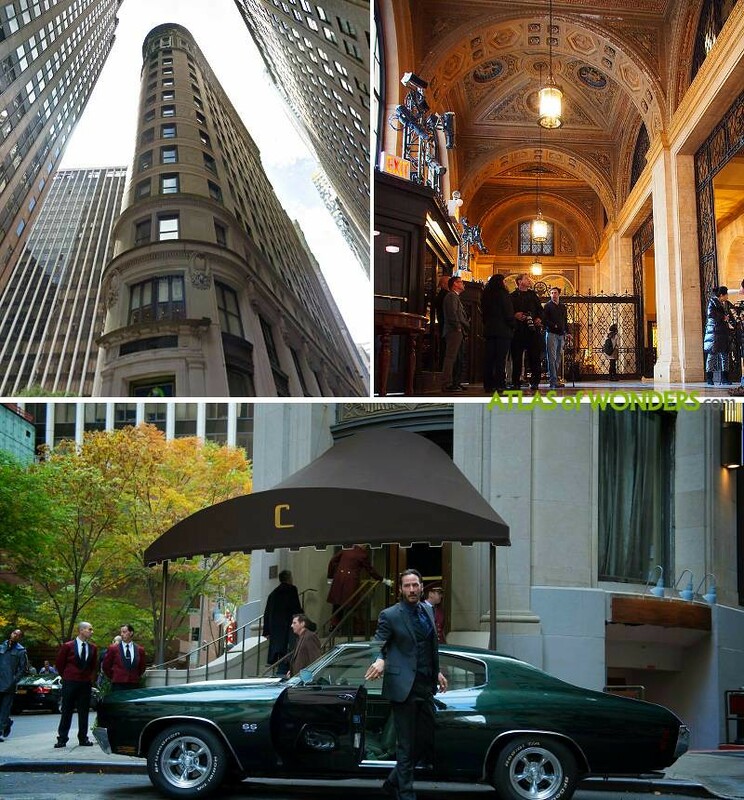 The exterior of the legendary Continental Hotel is the Beaver Building in Manhattan, and the hall of the Cunard Building was used to film some the interiors. The room featuring a huge oriental statue belongs to the Tao Downtown nightclub in Manhattan. The opening car chase scene, with the camera pointing to a well-known lingerie store, was filmed in Montreal in Saint-Catherine street. However, the next sequence where the motorcycle crashes into the gorgeous Ford Mustang Mach 1, was filmed more than 370 miles away from there. The shoot took place in the heart of New York City, in the surprisingly empty streets of Broadway, between W 42nd and W 40th St. 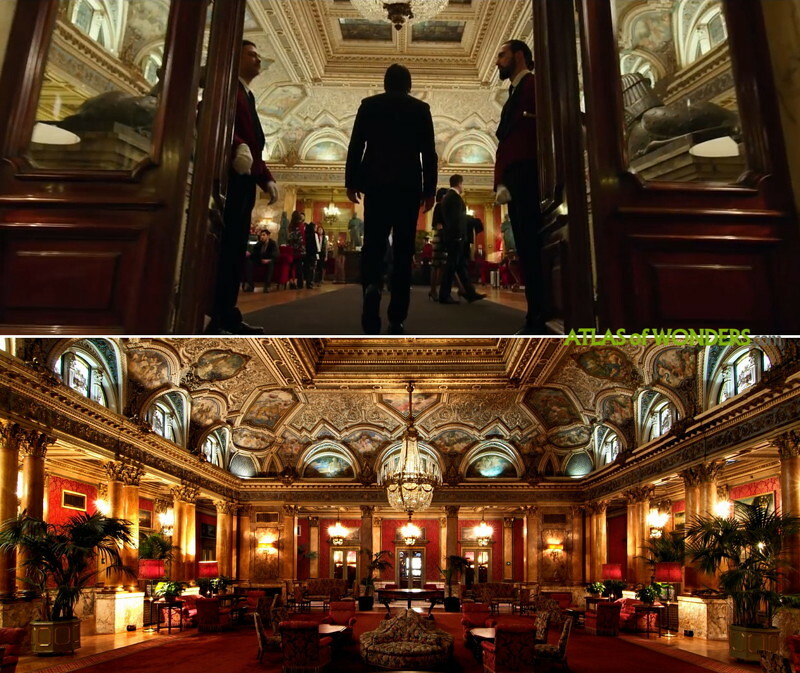 The spectacular John Wick house is located in Mill Neck (Long Island, NY). 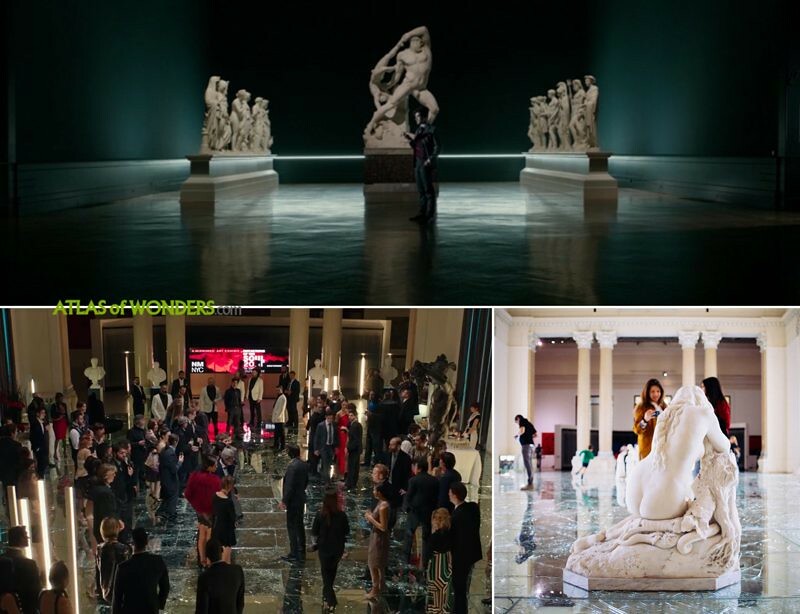 The GNAM (Galleria Nazionale Arte Moderna) in Rome doubles for a New Yorker museum. The atmospheric meeting of John and Gianna was filmed in a surviving domed pavilion at the Gardens of Sallust (Horti Sallustiani). These are the remains of some Roman gardens from the 1st century BC. 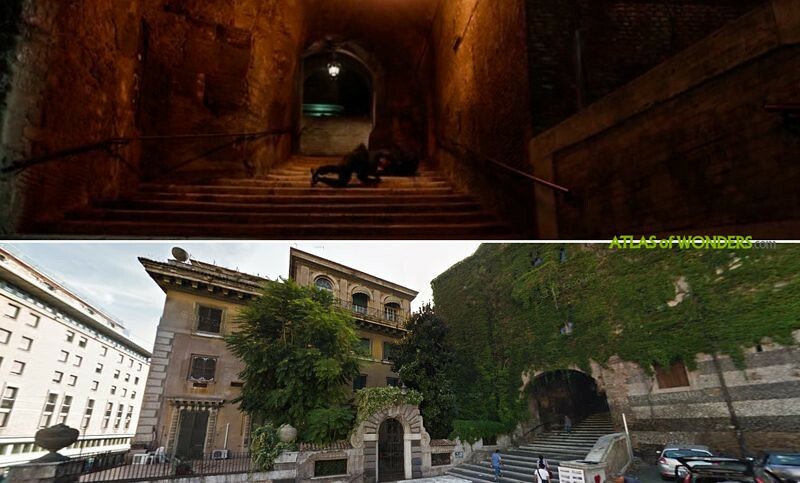 Before exchanging some shots and coming to blows at Piazza degli Zingari, John Wick and Common roll down and fight in the stairs of Scalinata dei Borgia in Rione Monti. Rome is huge but somehow they end up back to the Italian Continental Hotel branch, in the marble Lion staircase room at the Grand Hotel Plaza. John visits crime lord The Bowery King on the top of a building near Brooklyn Bridge at 135 Plymouth St. The scene of the mirrors, one of the best (and most expensive) of the film, was shot in a studio in New Jersey. 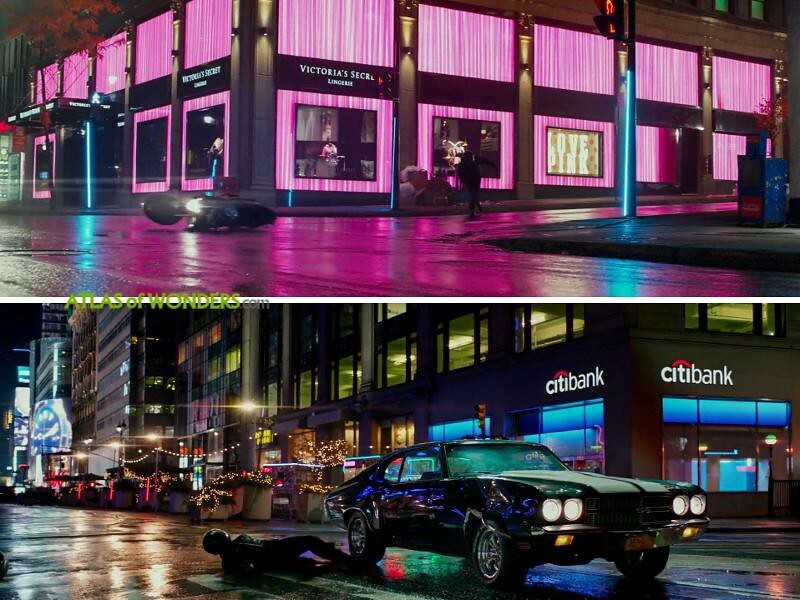 Can you help to improve this article about the filming locations of John Wick Chapter 2? To complete and correct this report, any feedback, info or images that you may have are more than welcome, thank you! 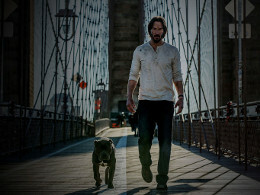 Finally we found and selected some very interesting items to help understand why the first John Wick installment has reached the status of semi-cult movie. For instance, someone has produced a replica of the blood oath marker coins used in the film! 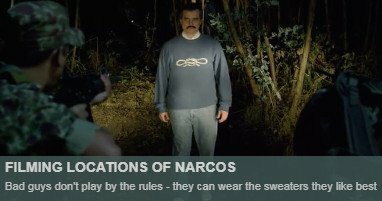 Where was the scene with the mirror taken? 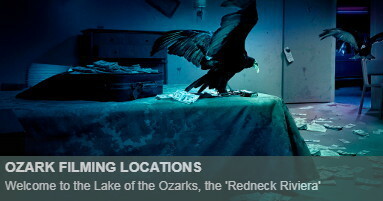 Is that a real place? 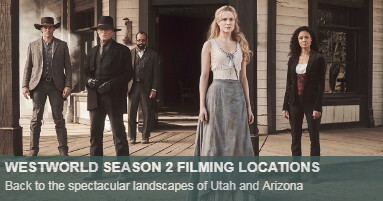 No, it was all filmed in a studio in New Jersey. 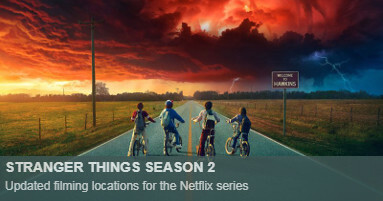 cool... which studio? Also, where is location of Wick's contemporary house? The opening scene (with victoria secret sign) was filmed on St-Catherine Street in Montreal, I suspect. 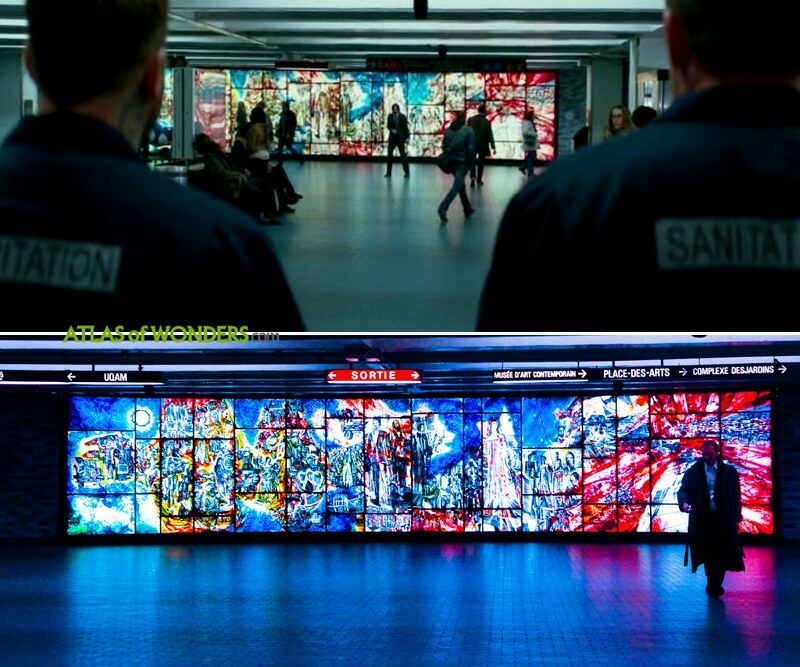 There is also a scene after the "path" in New York filmed in 'Places des Arts' Metro station in Montreal (where John is saved by the homeless man). Actually, that VS is on Robson St., Vancouver, British Columbia, Canada. I'd know it anywhere as I go there often. 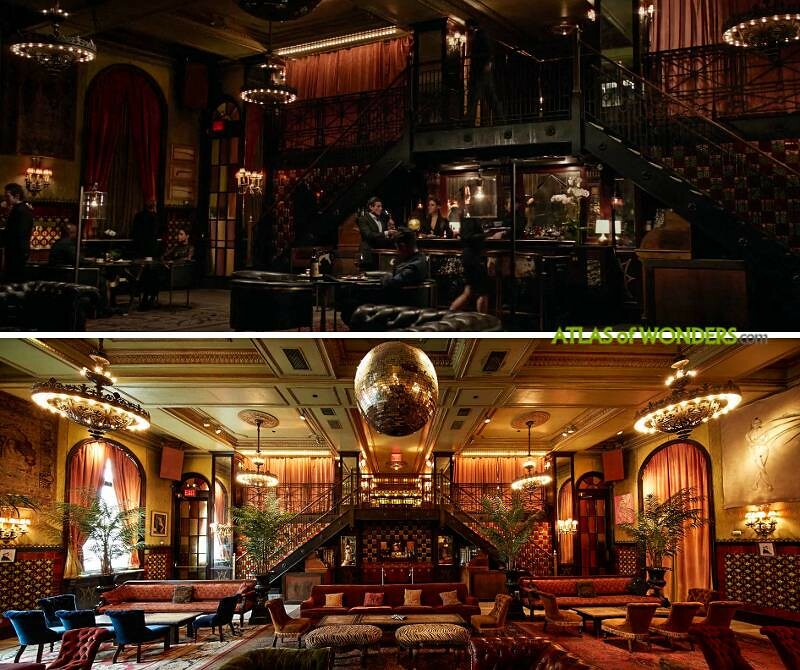 I’m pretty sure the meeting between Santino and Winston with the large Buddhist statue was held at Tao Downton. Nice, that's a good one. Most of the scenes were shot in montreal. Easily recognizable places for someone who lives there! Were is john wicks house!?!? 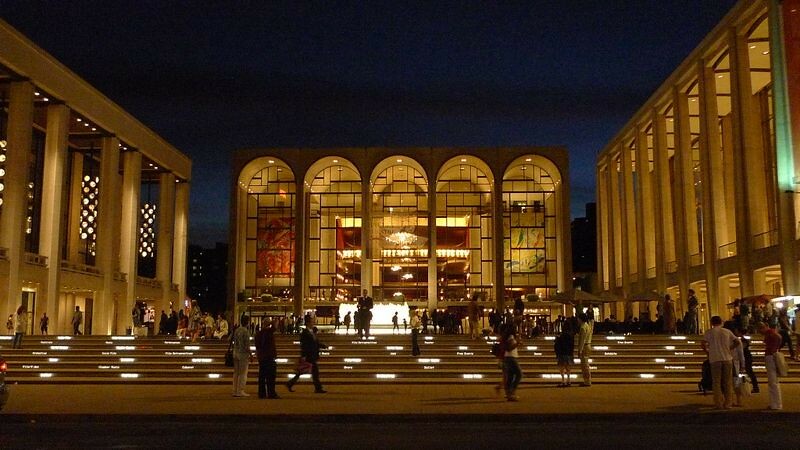 Do you know where the giant double doors used as the exterior of the Continental are located? 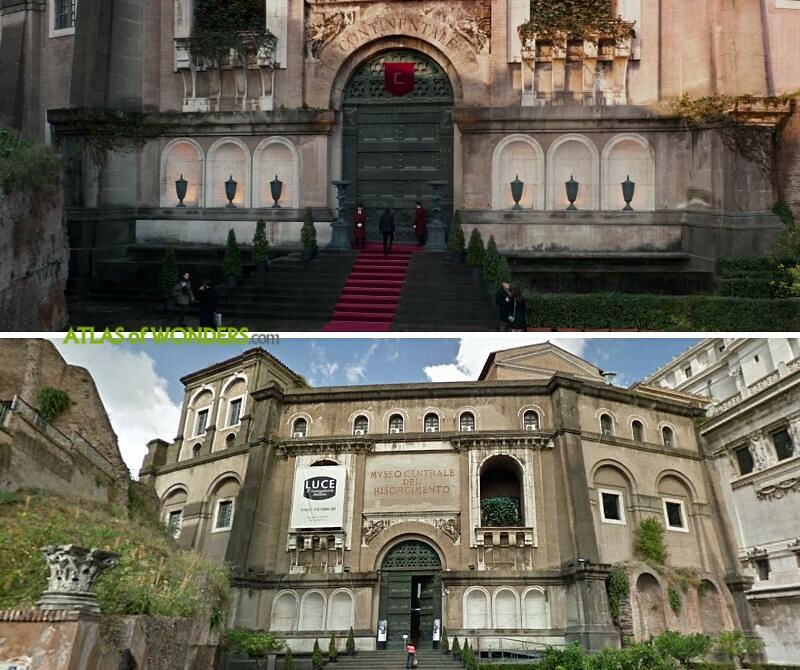 Where are the outdoor stairs that John Wick and Common tumble down for ages in Rome? What is the name of the very large circa late 1850's army painting, John and Santini meet in front of at the gallery? Santini claimed the artwork belonged to his father. I can't remember the artist, but it is in the museo nazionale d'arte moderne in Rome near the Borghese gardens. There is a salon with several of them and they are magnificent. 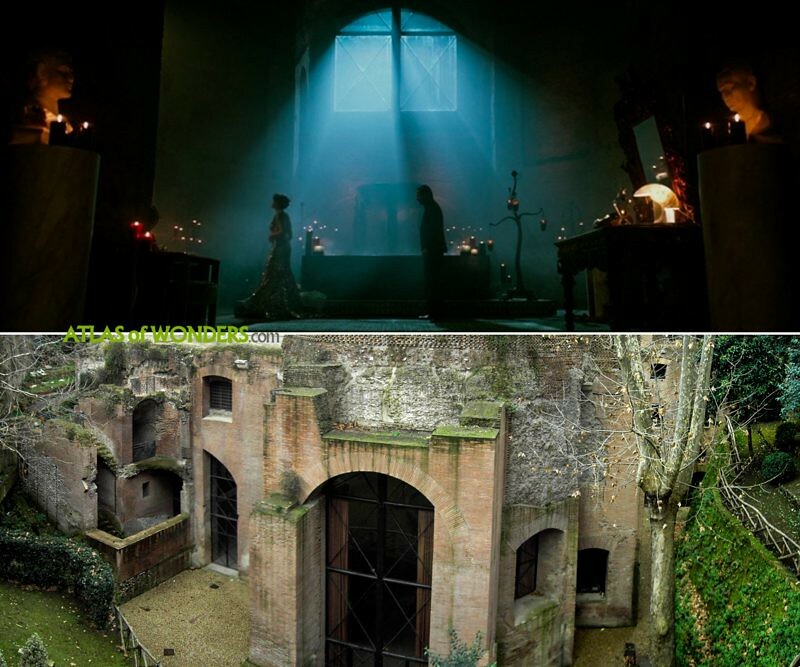 where was catacombs fight/chase scene filmed? I don't think that's a Buddha god statue, because it doesn't appear to have the typical elephant head. It would seem to be instead, a statue of the Hindu god Parvati. In any case, the name of the club is Tao (apparently a reference to a Chinese religion), quite distinct from Buddhism. And where is Buddha depicted with multiple arms? Not Japan, Korea or China. I agree that the statue is probably representative of a religion of India. Ethnicity and religion are confused. Asians do not all look alike.